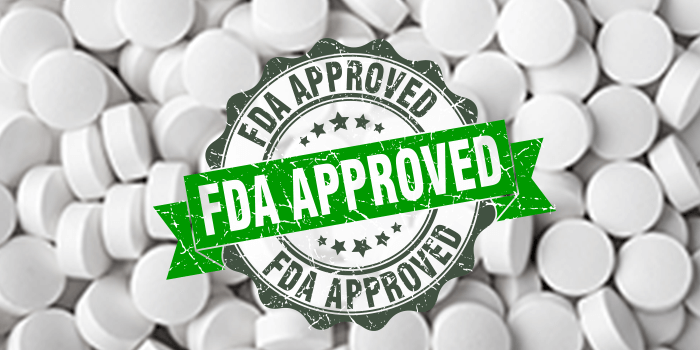 The FDA has approved Apadaz (benzhydrocodone and acetaminophen) oral tablets for the short-term (no more than 14 days) management of acute pain severe enough to require an opioid analgesic and for which alternative treatments are inadequate. The ingredient benzhydrocodone is a prodrug of the opioid agonist hydrocodone, meaning that while the ingredient is initially inactive, is it converted to active hydrocodone by enzymes in the intestinal tract. Like all other opioids, Apadaz comes with the risks of addiction, abuse, and misuse, even at recommended doses. As an opioid, Apadaz should not be combined with benzodiazepines or other central nervous system (CNS) depressants, and Apadaz also comes with contraindications for significant respiratory depression, acute or severe bronchial asthma, and other breathing conditions, as opioids can cause life-threatening respiratory depression. Common adverse reactions include nausea, somnolence, vomiting, constipation, pruritus, dizziness, and headache. Initial treatment of Apadaz is suggested at one or two tablets every 4-6 hours as needed for pain, with no more than 12 tablets in a 24-hour period. For more information, please see the FDA approved label. 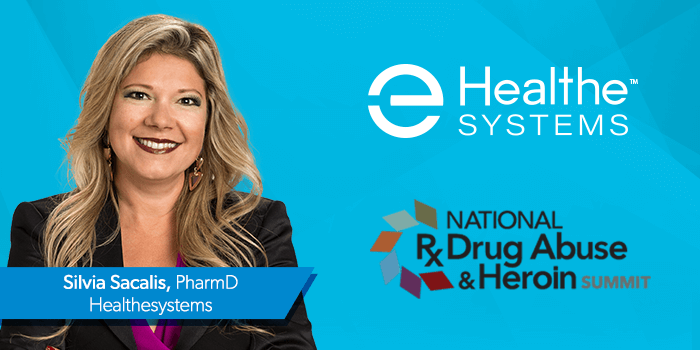 Healthesystems' VP of Clinical Services, Silvia Sacalis, PharmD, will be co-present Workers' Comp Opioid Use Trends and Effective Population Health Management at the National Rx Drug Abuse & Heroin Summit. The Summit is an annual gathering of professionals from local, state, and federal agencies, businesses, academia, healthcare, and other communities, created to discuss issues and developments related to the prevention and treatment of prescription drug abuse and heroin use. This year, the summit will be held from April 2-5 in Atlanta, Georgia. Dr. Sacalis' presentation will discuss the unique characteristics, challenges, and risks inherent to opioid use in workers' comp populations, exploring how data aggregation, combined with systematically applied clinical logic, can reduce drug therapy risks and expose gaps in care. Dr. Sacalis will co-present with Adam Seidner, MD, MPH, Chief Medical Officer, The Hartford, and Vennela Thumula, PhD, Policy Analyst, Workers Compensation Research Institute (WCRI). The panel will be moderated by Mary Colvin, CPA, CPCU, MBA, Chief Operating Officer, Kentucky Employers' Mutual Insurance, and Member, Operation UNITE Board of Directors. The panel will take place Thursday, April 5th, at 10:00 AM. For further information, visit the Summit's page online. 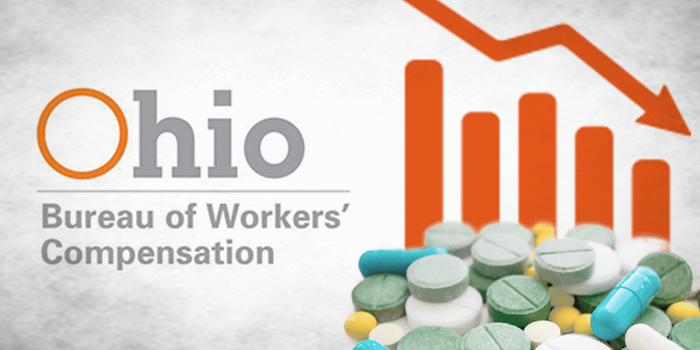 The Ohio Bureau of Workers' Compensation (BWC) released a report that details declines in opioid dependency within their workers' compensation system. The BWC attributed these drops to the success of various efforts to counteract the opioid epidemic over the last few years, including the creation of a formulary, a Pharmacy & Therapeutics (P&T) committee, and opioid prescribing rules. In 2011, the BWC officially defined "clinically dependent" individuals as those who took at least the equivalent of 60 mg of morphine a day for 60 days or more, finding that over 8,000 injured workers met that threshold. The number of opioid dependent individuals began to decrease year-after-year as the BWC began implementing their programs targeting opioid use, with a 19% drop in opioid dependence in 2017. Since 2011, opioid dependent populations fell 59%, and today the BWC estimates that 3,315 individuals are still opioid dependent. Furthermore, these efforts have resulted in drug costs falling $47 million since 2011, with $24 million of that in opioid spending. Ohio's formulary was implemented in 2011, containing a list of drugs that the BWC will cover when prescribed for allowed conditions in an approved claim. The P&T Committee maintains the formulary list and regularly reviews and updates it. The committee includes the BWC's pharmacy program director and five to thirteen other members who must be licensed physicians or pharmacists representing the diverse groups of providers that service injured workers. For further information, see the Ohio BWC's report. The Third District Texas Court of Appeals recently ruled that the Airline Deregulation Act of 1978, which covers matters related to a price, route, or service of an air carrier, takes precedence over the state's attempt to implement and enforce fee schedules for air ambulance services. Air ambulance services are generally reimbursable in Medicare and group health programs under narrow sets of circumstances. For instance, if an injured worker has sustained life threatening injuries and the nearest qualified facility is inaccessible by land due to heavy traffic, great distances, rural locations, or inaccessible areas such as flood zones, mountainous areas, etc., air ambulance services are reimbursable. Workers' compensation has seen an increase in the utilization and cost of air ambulances over the last several years, leaving payers concerned that some instances of air ambulance use may be unnecessary, especially given the amount of domestic land development within the last ten years, which has given ground ambulances better access to patients. According to the Government Accountability Office, the number of patients transported by helicopter air ambulances from 1998-2008 increased 35% from 200,000 patients to 270,000, and the Office also found that from 2010-2014, the median charge for helicopter air ambulances doubled from $15,000 to over $30,000. Furthermore, the National Council on Compensation Insurance (NCCI) found that the total paid for air ambulance services, including fixed wing and rotary wing, exceeded $21 million in 2015, with payments having grown 5% between 2011 and 2015. Many have pointed to the rising need to connect aging populations and individuals in rural areas with care that may not be immediately or locally available, yet others have argued that a rise in the number of air ambulance providers has led to medically unnecessary flights, especially as the frequency of workplace injuries has declined over time. Of note, the National Association of Insurance Commissioners reported that in 2002, there were an estimated 400 dedicated air ambulances in service, but that number doubled to over 800 by 2008, and has risen steadily since. 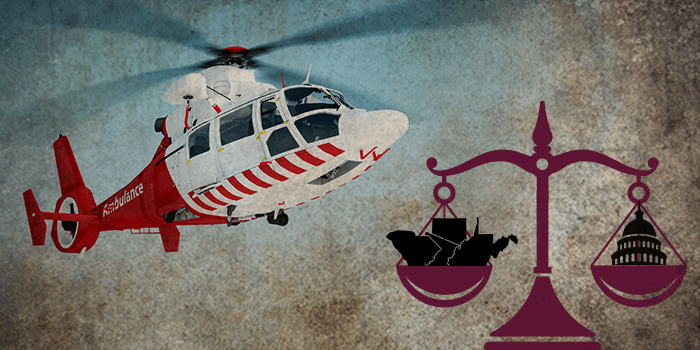 Across the nation, states such as West Virginia and Wyoming have attempted to reduce air ambulance rates with fee schedules, only to be stricken down in appeals courts as recently seen in Texas. Other state legislatures have faced varying degrees of success in passing legislation that would address air ambulance rates and regulations. In 2017, Montana passed House Bill 73 and Senate Bill 44, while New Mexico House Bill 402 failed to pass. Meanwhile, South Carolina introduced a draft proposal for regulation changes that would regulate air ambulance charges, as did Michigan. However, these pieces of legislation could all be appealed by parties that believe the Airline Deregulation Act takes precedence, allowing the debate of high costs and utilization to continue to grow in the future. Over the last few years, a high volume of lawsuits have been launched against opioid manufacturers from state and city governments. So far, 41 state Attorney Generals have banded together to investigate drug makers and distributors, while federal courts are overseeing more than 200 lawsuits by cities and counties. These cases seek monetary damages from drug manufacturers, claiming they deliberately misled doctors and patients regarding the safety of opioid products, resulting in the harm of the opioid epidemic. Momentum for such lawsuits began to develop in 2015 when Mississippi's Attorney General, the same office that successfully led the charge against big tobacco in the 1990s, filed suit. This initial investigation uncovered information that prompted other states and organizations to file suits, resulting in a vicious cycle of discovery and litigation. Specific accusations vary by locale, but an investigative report from The Los Angeles Times claims that certain manufacturers encouraged doctors to prescribe higher doses of opioids than necessary to avoid changing dosing schedules, while also encouraging doctors to prescribe opioids for common conditions such as back aches and knee pain. While allegations have yet to be proven in court, the sheer volume of attention these lawsuits have built has caused the Department of Justice to announce the creation of the Prescription Interdiction & Litigation (PIL) Task Force. 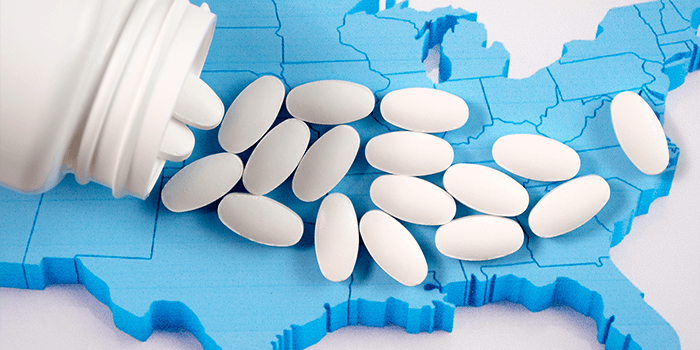 The group aims to hold opioid manufacturers accountable for unlawful practices and examine existing state and local government lawsuits against opioid manufacturers to determine what assistance, if any, federal law can provide in those lawsuits. With more parties continuing to approach this issue, it is likely these lawsuits will continue to intensify. Among many recent developments, a Mississippi hospital system filed a class action lawsuit on behalf of other hospitals, arguing that the increase of opioid addicts in care units, who often do not pay for care, has caused significant financial burden. This recent lawsuit indicates that different stakeholders may continue to join this endeavor to hold drug manufacturers accountable for their practices.